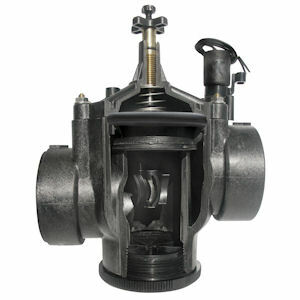 At the heart of the 100-S Series Century Plus Scrubber Valves is a turbine that is continuously scrubbing and actively cleaning the metering device to ensure consistent valve operation. The valves are available in 1-, 1.5-, 2- and 3-in. models, with a flow range of 5 to 300 gpm and a pressure range of 10 to 200 psi.